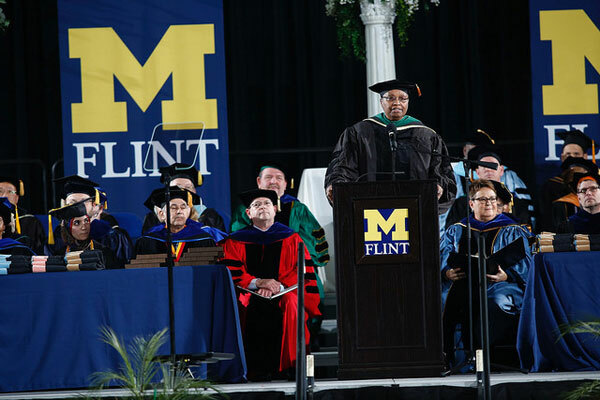 Dr. Alexa Canady encouraged UM-Flint graduates to form their own identity, drowning out the voices and stereotypes of others, to define their own future and their own possibilities—for themselves and their community. Dr. Alexa Canady encouraged graduates of the University of Michigan-Flint to form their own identity. Canady made history in 1981 as the first woman African-American neurosurgeon in the United States. Throughout her life and career, she faced stereotypes and those who doubted her ability. Sometimes she even doubted herself, Canady told graduates. 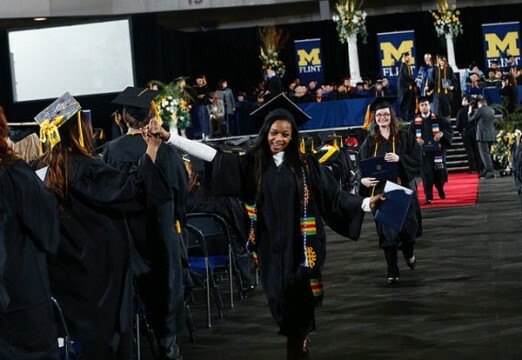 An alumna of the University of Michigan and the University of Michigan Medical School, Canady said she learned that through hard work, she could achieve and make those voices of doubt fade. 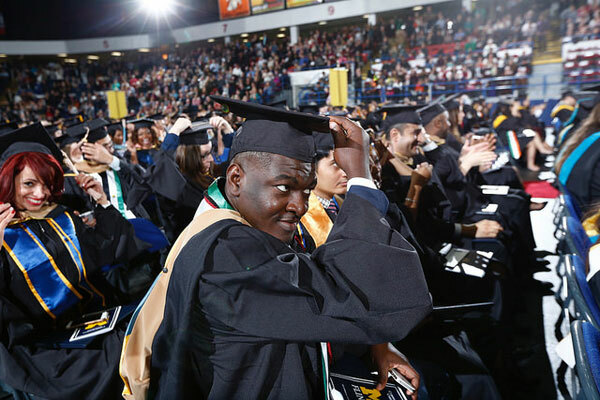 More than 660 graduated this semester from UM-Flint, including 18 receiving their doctorate degrees in physical therapy, nursing, and anesthesia practice. 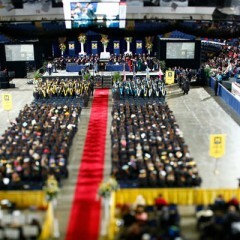 New UM-Flint graduates turn their tassels to the left. “Graduation is the single best day in the life of the university, as it is a shining example of our core commitments,” Chancellor Susan E. Borrego said. Borrego congratulated graduates for their work on campus and in the community to put their education to work to make a difference—such as physical therapy and public health students running a pro bono clinic at a local soup kitchen, Entrepreneur Society members building successful businesses, and veterans choosing to continue service through an accelerated nursing program. She applauded students who this year stood in unity against intolerance and for the collective good. She encouraged graduates “regardless of your profession or occupation” to continue being leaders by rejecting fear and instead nurturing civility and respect in the world. 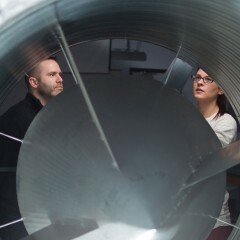 “Fundamentally, education should teach us to think, to examine increasingly complex ideas, to unpack history and learn from it, to use our new knowledge and skill to create a better future,” Borrego said. 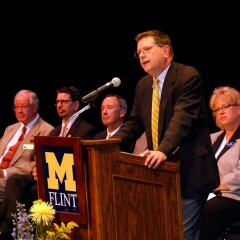 UM-Flint honored 13 graduates with the Maize and Blue Distinguished Scholar Award. From those honorees, nursing student Fatima Rafiq was chosen to be the student speaker at commencement. Student speaker Fatima Rafiq inspired fellow graduates with her remarks. Rafiq, who immigrated to the United States from Pakistan when she was 4, asked her fellow graduates to recognize both how large and diverse our world is—as well as how small it is. “Now you may think that we are but little specks in this vast ocean of humanity, but in the eyes of your children, your family, or even your patients—you may be the most important person in the world. 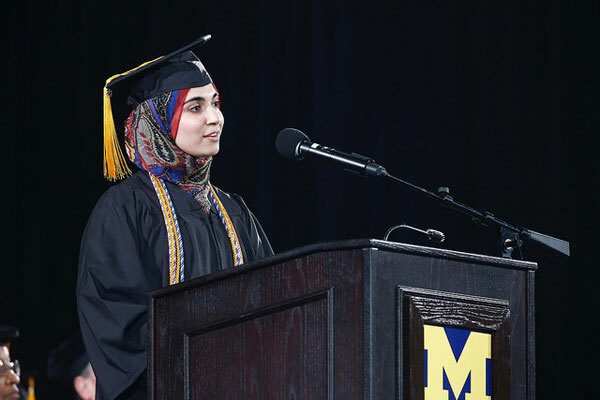 The University of Michigan-Flint has given us this degree, a chance, an opportunity, and now it is our turn to decide what we must do with it,” Rafiq said.